Our goal is to provide safe, dependable, professional, and cost effective transportation services for our students. Each day our school bus fleet travels approximately 4000 miles. We want the students' ride to be part of a positive educational experience. However, in spite of our best efforts, we know that buses will occasionally be late due to traffic, vehicle breakdowns, substitute drivers, and student management issues. We are committed to make every effort to reduce these problems. The Department of Transportation looks forward to working with parents and students to ensure safe ridership to and from all of the schools. Perfect attendance pays off! Rush Bus Centers sponsored a drawing for a 49 inch television for bus drivers with perfect attendance for the year. Five drivers were eligible for the drawing and in the end, Ms. Tracy Gibbs was the lucky winner of the new television. Our thanks to Rush Bus Centers for providing such an awesome prize! Children who live more than one and one- half miles from their home school or who live in a hazard area are provided bus service. Bus service for students attending special education classes outside their home schools will be provided as indicated on the student's Individual Education Plan (IEP). Parents may ride as chaperones on field trips if the school authorizes them to do so. Bus stops are assigned by the nearest practical route. Stops are designated by the Transportation Department and are placed at specific locations based on distance to the next stop and safety of the location for pickup and drop-off. Normally, stops are placed at least two-tenth of a mile apart and at intersections. The bus driver cannot change bus stops. Any requests for changes or additional stops must be made through the Transportation Department. A staff member will survey the area and notify the parent of the decision. Can the bus wait for students to come to the bus stop? Students should be at the bus stop at least 5 minutes before the scheduled pickup time. Once a bus has departed a stop at the designated time, it must proceed to the next scheduled stop before picking up students. Safety factors prohibit drivers from making unscheduled stops to pick up latecomers. What types of training do school bus drivers have? Our system has an outstanding safety record. All first-time school bus drivers in Camden County successfully complete a minimum of 24 hours of training, to include 12 hours in a classroom, 24 hours of bus inspection and 24 hours of behind-the-wheel training. Additionally, all drivers receive annual safety training from our staff as well as from the Georgia Department of Education. All drivers must possess a Georgia Commercial Driver’s License with Passenger and School Bus endorsements. Who is responsible for discipline on the bus? The bus driver has complete charge over the students on the bus. The rules of conduct are posted on each bus, and the driver reviews them with the students at the beginning of each school year. Students who continue to violate the rules will be referred to their principal. The principal has the ultimate responsibility to discipline students whose bus behavior is unsafe or inappropriate. The principal may suspend a student’s riding privilege if deemed necessary. Students shall: respect themselves and the rights of others; follow the driver's directions the first time they are given; stay in their seats; keep all body parts and objects in the bus; refrain from pushing, shoving or fighting; and refrain from eating, drinking, chewing gum, smoking or spitting. Riders are to adhere to CCS Policy JCD, governing student conduct. What should students do if the bus does not show up on time? Traffic situations or mechanical breakdowns occur from time to time, causing buses to run late. If there is a delay of more than 15 minutes, parents may call the transportation office. Parents may be notified by an automated telephone call for buses that are running more than 10 minutes late. May a student ride a bus other than their assigned bus? 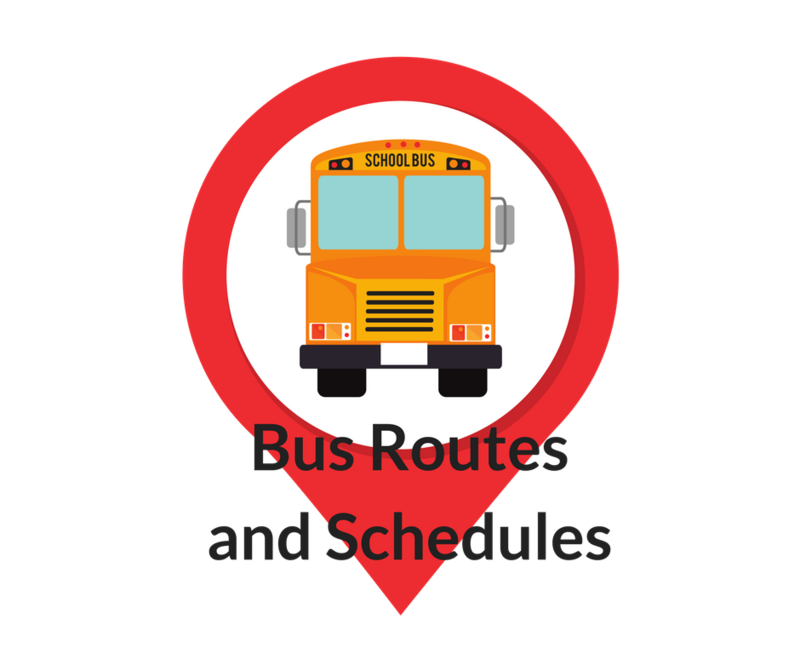 Based on their home address, each student eligible for school bus transportation shall be assigned to a particular bus route and bus stop and shall ride the bus assigned to that route. Changes in stop locations or bus assignments based on personal preferences or are not allowed. In an emergency situation which is approved by a school administrator, your child may receive a temporary bus pass, provided that a note from the parent is submitted to the school for such a request. If approved, the school will provide the student with a Temporary Bus Pass allowing them to ride a different bus or get off at a different bus stop. Temporary Bus Passes are only to be used for one-time events and cannot be issued for recurring events. In the case that the requested bus is at capacity and cannot safely transport any additional students, the request will not be granted. What items may not be brought on the bus? Safety standards require that no students bring on the bus any article which might create a hazard. Such articles include weapons of any kind, breakable or sharp objects, balloons, animals or insects. Band instruments and school projects may be transported if they can be held in the student's lap. Items that take up space needed for other students or that block the aisle or emergency door may not be transported. Who answers questions involving school bus transportation? Many questions can be answered at the schools. Each school has access to internet based bus assignment information for each student. The Transportation Department may be contacted at 912-729-8374 if there are questions that the schools are unable to answer. Concerns about student discipline should be referred to the school principal. The school bus is an important part of your student's day and our bus drivers are professionals in the field of transportation. All drivers are required to have a current commercial drivers license and undergo a comprehensive Georgia Department of Education training program. Our bus drivers are dedicated professionals whose primary responsibility is to provide safe bus transportation to all students. The center aisle of the bus and emergency exits must be kept clear at all times. Glass containers are not allowed on the bus. Animals and insects (alive or dead) may not be brought onto a bus. All items brought on the bus must fit in the student's lap or sit stable on the floor. Items may not be taller than chin height or wider than the student shoulders.